denny and simplyj like this. Rock on! Glad you also made it to the DGR. Didn't dawn on me that's what you were thrashing for. It came out really nice. Main Motorcycle: 2010 Speed Triple. Other Motorcycle: 2015 Rocket X. Extra Motorcycle: 1969 T120R Project. Your TBS is beautiful, good sir! Yes, you certainly have much more ambition for tweaking that TBS than I do. Amazing! We're gonna need some more videos!! Going to get some better shots and some video this weekend. In the meantime, fixed the nicked alternator o-ring. Of course my dealer didn't have anything in stock and, due to some dust up with Triumph, isn't currently placing orders. 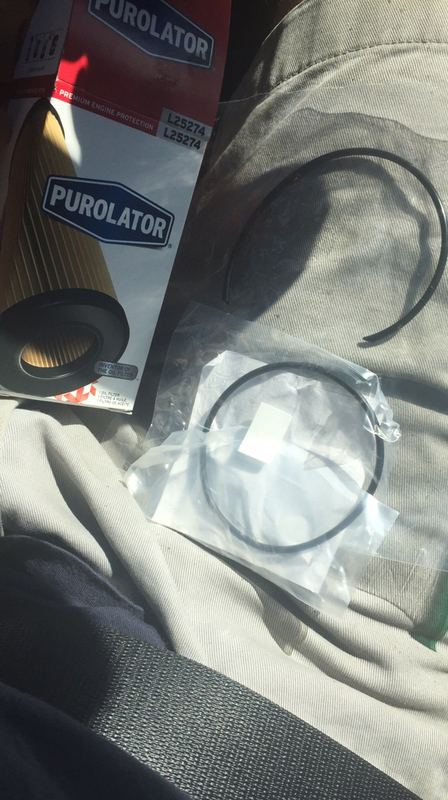 Rather than wait for bike bandit or ordering from another parts department far away I figured I'd hit the local parts store and see if any oil filter o-rings would be suitable. I hope to see this bike in person one day. That certainly took lots of persistence.